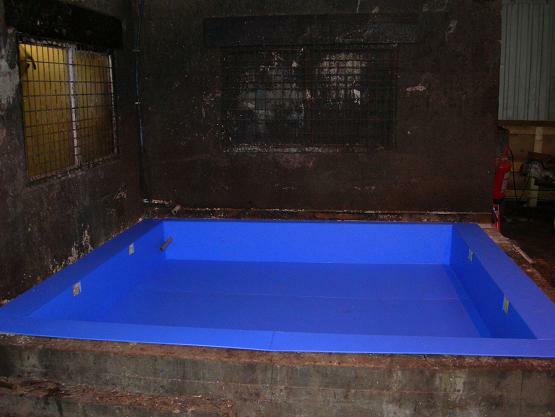 We can fabricate plastic liners for use in pre-cast concrete tanks and large vessles etc. 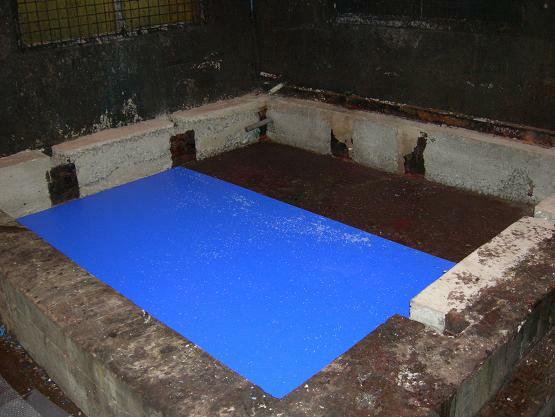 The plastic we use is none corrosive and is an excellent base to use in cleaning enviroments. 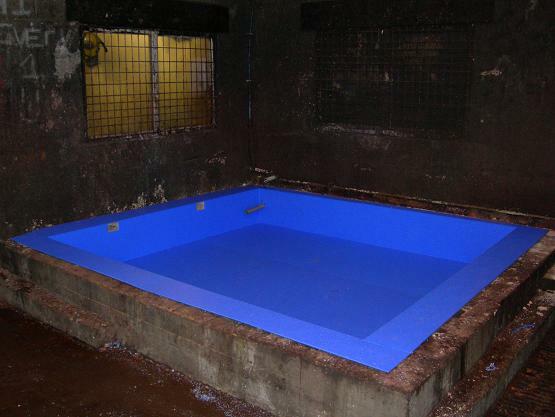 The pictures below show a pit that was used for the cleaning of large chemical drums. The owner found that the chemicals being washed out of the drum`s was erroding the concrete floor and walls. So we fabricated a liner for them.